Fortnite Mobile has already released for iOS, but not for Android yet. Let’s know the reason why is it being delayed. Epic Games’ fans have been waiting and holding on to download and play the video game. The mobile phone version of Fortnite game has already made its first million dollars in just three days of launch. So, it’s clear that Fornite on Mobile is making big money for Epic Games. At the same time, a very large fan base, i.e., Android users, are waiting for it to be launched on Android OS platform. They are keen on playing it on their Android devices – smartphones and tablets. The vast success has already been seen on iOS in many nationa. However, the full version hasn’t been released yet and it seems far in the future. The game has become one of the best performing free games in App Store charts for iOS. However, the game is only available to the signed up players. As of writing this, the game has gained more than 60,000 ratings on the App Store with more to be added soon. The next batch of signed up iOS users will be invited soon. However, the process would be different for other mobile OS users. It seems that we won’t be able to catch up with Fortnite Mobile for Android this month, atleast. Epic Games has confirmed that they would the support for the Google Play Store in the coming months. It probably means that Android users need to wait for quite a time. But, what is the exact reason behind the delay? The development team has replied that they are considering the entire variety of Android devices. iOS has a limited variety of devices. On the other hand, AndroidOS has a vast reach. Nick Chester from Epic Games has said that they want to support the complete range of Android devices. So, that Android players can report a great experience playing the game. In order to completely support the Android, the Fortnite Mobile will have to fine tune to the best level they can. It’s because AndroidOS runs on a wider range of hardware than iOS in the smartphone market. 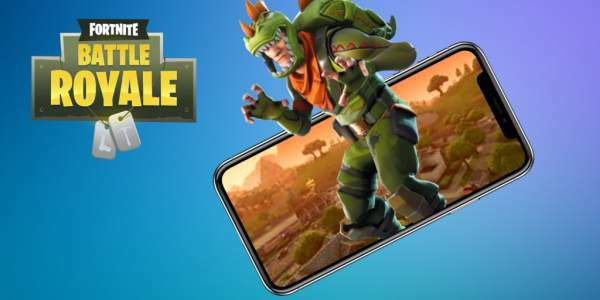 Epic Games has announced that they are set to favor one mobile platform over another. So, all fear should come to rest by now. As of now, the company hasn’t revealed the list of compatible devices for Fortnite Mobile on Android. However, we are expecting it to be released on wide range of devices for the Battle Royale. The launch won’t be on a small range of Android devices. It will cover almost all. It’s also clear that there isn’t any exclusive deal for the game on iOS first over AndroidOS. More feature will be released so that players can enjoy more of it on mobile. The list includes bluetooth controller support which should arrived by the end of 2018. There has been no problem playing with the touchscreen controls. Reviews have been favorable. But, the inclusion of a controller unit will certainly make it easy to be played. For the iOS users, you need to have an iOS device – iPhone 6S/SE, iPad Mini 4, iPad Pro, iPad Air 2, iPad 2017 or later – running on iOS 11. So, ultimately it means that you can play the game on iPhone SE, iPhone 7 / 7 Plus, iPhone 8 / 8 Plus, iPhone X, iPad Mini 4, iPad Air 2, iPad 2017, and iPad Pro.